You’ve probably heard the old saying that an ounce of prevention is worth a pound of cure. That is certainly true when it comes to household mold. Mold in the home can damage the home itself and cause serious health problems. Mold remediation can cost thousands and thousands of dollars. Preventing mold in the first place is usually much easier and much more affordable. While you cannot always prevent mold, there are many things you can do to reduce the likelihood of a household mold problem from developing. One of the simplest things you can do to prevent mold is to check for water leaks regularly. Check under sinks and behind toilets. Check around appliances that use water, like dish washers and washing machines. Catching and fixing any leaks promptly will prevent mold from developing in those areas. Install leak detectors, especially in places you might not notice a leak for a while. For instance, if you clean your bathroom regularly, you’ll probably notice a leak behind the toilet. If you rarely go into the basement, though, you might not notice a leak under a basement sink for quite a while. A leak detector will let you know as soon as excessive moisture is detected. 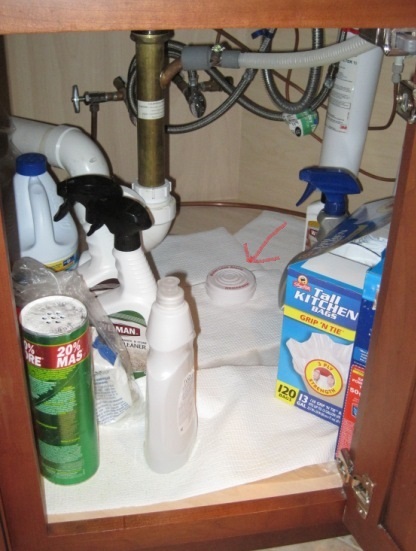 Here is more on under sink leak detectors and hot water heater leak detectors. If windows don’t seal properly, you may notice moisture or condensation around your windows or on the sills. This is a common place for mold to begin to grow. Good windows that seal properly help prevent mold growth and also save money on home heating and cooling costs. Install tile or linoleum in areas that tend to have high levels of humidity, such as bathrooms, kitchens and laundry areas. This is also helpful since spills are common in such areas. Wipe up any water from the floor promptly. If you use throw rugs, hang them up to dry whenever they get damp. Mold resistant paint is available in most home improvement stores. Use it in areas with high levels of humidity, like bathrooms, kitchens and laundry areas. You might want to use it in basements, as well. Of course, it doesn’t hurt to use it throughout the whole house if you want to be safe. Do not paint over mold. Mold resistant paint is not meant to cover mold. Use exhaust fans in bathrooms and kitchens when showering and cooking to help remove excess moisture from the air. If you don’t have an exhaust fan, try opening a window a couple of inches instead. Invest in a hygrometer, a device that measures the relative humidity or amount of moisture in the air. If the humidity is too high, mold may begin to grow. The house may also feel uncomfortably stuffy. If the humidity is too low, however, you may develop dry, itchy skin and chapped lips. A hygrometer allows you to monitor the relative humidity in your home so that you can determine whether or not you need to install a dehumidifier or take other steps to prevent mold. Here is more information on hygrometers for the home. 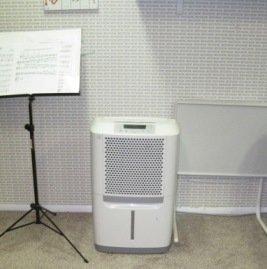 Install dehumidifiers in areas with high levels of humidity. Relative humidity greater than 60 percent is likely to lead to the growth of mold. 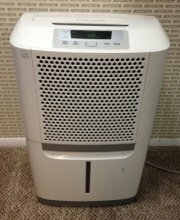 For small areas, you can buy a portable dehumidifier. If humidity is a problem throughout the home, a dehumidifier can be installed as part of your HVAC system. Heat rises, so attics often grow very warm in summer. They are meant to have adequate ventilation to prevent excessive heat and moisture, both of which lead to the development of mold. You can use a thermometer and a hygrometer to monitor the temperature and relative humidity in your attic. 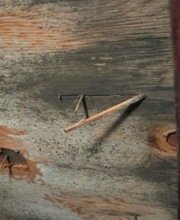 Of course, you can also check your attic for signs of moisture or mold. 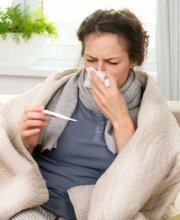 If you notice a musty odor, mold is probably beginning to grow somewhere even if you can’t see it. If you need to improve the ventilation in your attic, we recommend consulting with a professional contractor about the best way to do that. Here is more on how to prevent attic mold. Insulating your home properly makes air conditioning more efficient and makes it easier to control humidity in the home. As an added benefit, it will save you money on your home heating and cooling bills. Waterproofing your foundation may involve a wall treatment to prevent moisture from getting in from the outside, but it also often involves directing water away from the building. Keeping moisture out is the key to preventing mold. While it is easier and less costly to waterproof your foundation while your home is being built, waterproofing can be done to an existing home if necessary. The Federal Emergency Management Agency recommends installing rain gutters that direct rain water away from the house. This helps prevent damage to the roof that can lead to leaks and the development of mold. Of course, it can also save you the need for costly repairs to the roof. Leaks in the roof often lead to the growth of mold. If you notice stains on the ceiling, it generally means the roof is leaking. By the time you notice a leak in the roof, it has often been leaking for a while. Mold may have already begun to grow, but if you act fast, you may be able to prevent mold. Even if mold has already started to grow, prompt action on your part can prevent the problem from getting too big or too costly to repair. If you are having trouble with mold in your home, we suggest scheduling an in-home consultation with a mold remediation professional. Not only can a professional advise you about mold remediation, he or she can also advise you about preventing future mold. Many mold remediation professionals offer free in-home consultations, so there’s no cost and no obligation on your part. Follow this link to find experienced professionals offering free in-home consultations in your area.